Fundraiser for John Cook by Kristina Poe : Victory Girls Fundraising Campaign! “What if no one comes?? What if I put this whole thing on, asked people to do me a favor – like, really great people, people who don’t need to be doing me any favors- and no one shows up. And then they all hate me, or worse, pity me – and that’s the vibe that surrounds this play; and these amazing actors, and Jill, are now mired in tragedy and along with raising no money a deathly pall will hang over the production and it will be a disaster and I will have let everyone who believed in me and supported me down.” …the constant voice in my head leading up to may 15th. I am happy to report however that, as with all fear based states of mind, in the end it was all folly – as soon as the show began, everything else but sheer love and gratitude left the building. From David Anzeulo, who had just taken on MC duties hours before, to Robert Cowie doing an incredible job accompanying most every act, to Jill for pulling it all together – literally – into a semblance of a show, my friend Sheri for front of house duties, and to Lex Friedman for producing, i.e. doing all the grunt work and rallying my hope thru fear, I was blessed. Incredibly special was everyone’s kids: mine was scheduled to sing, and she brought up one of Robert and Nidia’s daughters with her who in turn did interpretive dance to Scout’s song (and the other daughter on hand as well), and Jill’s son, Jaden, running lights and sound, with Jasmine -who is her own woman of course, but was first known to me as Ron’s daughter-up there belting out a tune so beautiful the entire room had to catch its breath. In the end it was truly a family affair. My SRT family, my LAB family, my Cherry Lane family, and my actual family (there was even a –now- rare appearance of Eric on stage when he went up to aid the mime in her bit; he was brilliant, natch). 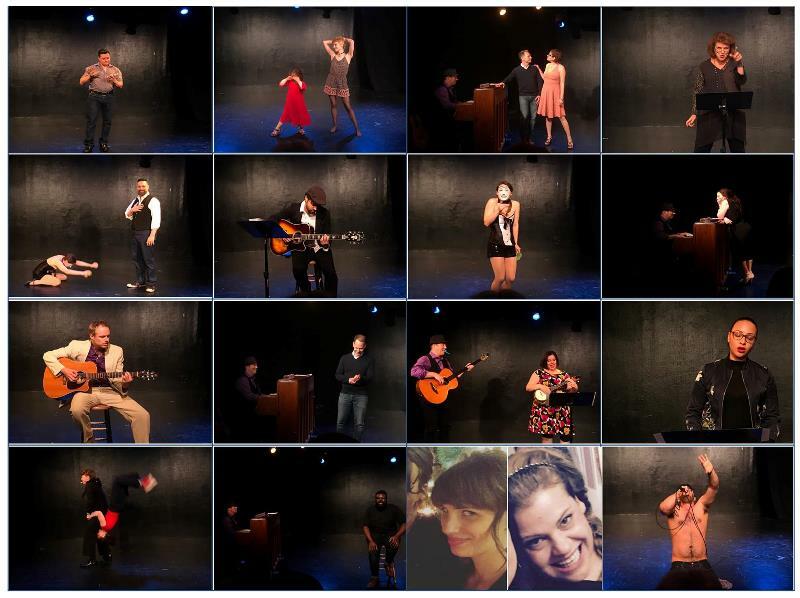 The audience grew –literally and figuratively - as we performed, and the love even more so. Every performer on that stage went up there with their hearts wide open. They embodied joy. They were having fun. And when performers on stage – especially good ones like I had that night – are having fun, there is an alchemical magic that is conjured. It was an intensely powerful evening, borne of love, and manifested in joy; an evening I am profoundly grateful for on so many levels. Then a day or so after, Stephen posted about how easy it is, living in the time of Trump, for people who are passionately resisting what is happening to start to take on some of the hate that we seek to destroy. He implored us (himself included) to “preserve our humanity as we face down insanity.” A righteous caution to be sure, and while I definitely dance on the edge of that needle, and even dip my toe in on rare instances, I do not usually feel consumed with ugliness and hate; but I was tagged in this post, so I put some thought in to it. What I came up with was almost so simple I would have dismissed it, had I not just seen the power of it in action: the most effective talisman we’ve got is just to show up. Showing up for each other. Practicing kindness. Putting good into the world – no matter how small. It MATTERS. It makes a difference. It is an antidote to the hate and fear and awfulness permeating our world, and everyone in the house at the Cherry Lane Theater Monday night got a full dose of it. All because I wrote a play that’s going up that needs some funds so that I had to reach out to people with an open heart and ask for help and they said yes and then in turn performed with open hearts and opened up others’ hearts. That’s all it takes to change the world. Just show up for each other. Even when it isn’t convenient… like Janio really needed ONE MORE thing to have to give up his own time for – but he did it, because he’s the real deal like that. For when you are a true warrior of the heart, you cannot help but deal in the currency of love. So be your own warrior of the heart...show up, open your heart and reach out. It’s the most important weapon we have to preserve our humanity, as we face down the insanity. Thank you Stephen for providing the question that helped me connect the dots…and to all who were there Monday, thank you for being the dots. God, for sure, works in mysterious ways, and usually we miss what’s right in front of us. I’m thankful this time I was able to see it. 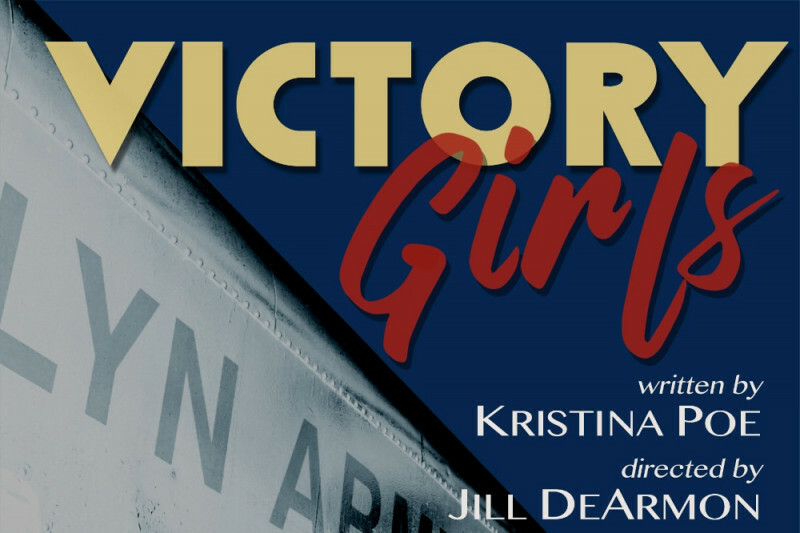 We are raising money to benefit a production of a new play by Kristina Poe, VICTORY GIRLS, going up at the Planet Connections Theatre Festivity next month! Any and all amounts useful and appreciated. 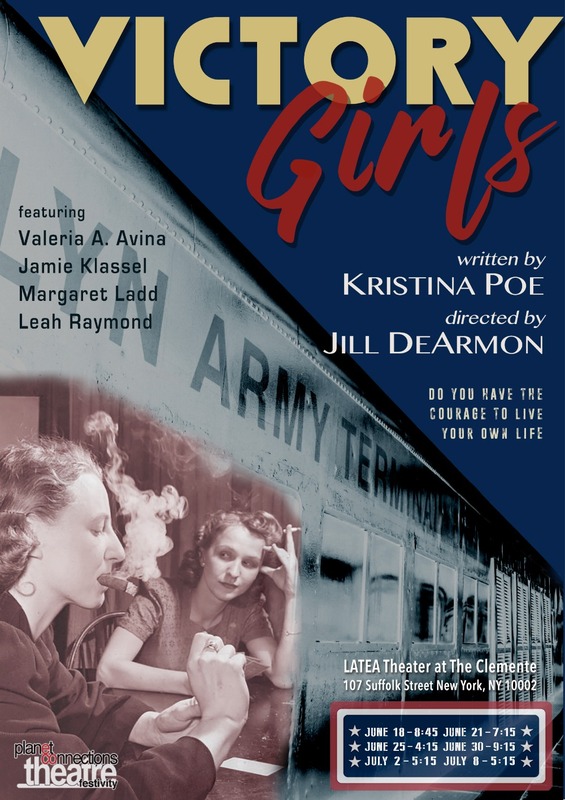 featuring Valeria A. Avina, Jamie Klassel, Margaret Ladd and Leah Raymond. Donated 40, two tix please!! $40 I would like two tickets please. I would like two tickets for Monday night, please. Lots of love to you and all involved with this project.